Biltmore is a powerful brand synonymous with craftsmanship, value, quality, and style. Our name inspires confidence and provides a foundation for building long-term relationships with consumers who seek to express gracious living and hospitality with extraordinary products designed for their home and lifestyle. 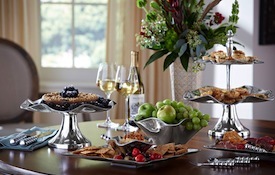 *Please note, our bedding, bath, and serveware products are exclusively sold at Belk and belk.com.